How Long Will The LifeFitness Platinum Club Last? Fortunately, since you gave up your arm and your leg in order to purchase the Life Fitness Platinum Club treadmill, you can at least rest assured that you will have a treadmill that will last a significant amount of time. Life Fitness may be a little too proud of their treadmill, but they have equipped it with a significant amount of quality that slightly makes up for the very high price tag. So, if you are going to spend this much on a treadmill, please be sure to take care of it. Buying a treadmill-only pair of shoes, setting up a cleaning routine, and unplugging your treadmill when not in use are just a few steps that will help you to get the most out of your investment. If you went into a bakery in search of a dozen cupcakes, you are more than likely expecting those cupcakes to be iced and flavorful. But what would be your response if the baker asked if you'd like to add icing for an extra two dollars per cupcake? More than likely, you would look for a different sweet shop or pull out the box mix. Similarly, Life Fitness has decided to charge consumers an additional amount for a console that has the same features as other consoles but costs more. Still, the Platinum Club Series is a respectable treadmill with a decent number of built-in workouts, a wider walking area, and respectable warranty. Taking all of this into account, we have awarded the Platinum Club Series Second Place among our 2019 Best Buys in the $6,000 and Up price range. The Platinum Club Series has a significant amount of quality and one of its better attributes is the warranty that Life Fitness has provided. This treadmill comes with a ten-year-parts, three-year console, and one-year labor warranty. Life Fitness has also included a lifetime warranty on the Platinum Club Series’s shock absorbers to help support their claims of a quality belt cushioning system. Additionally, one has the option to purchase a better warranty to ease any extra concern. Outside of the warranty, the Platinum Club Series has a level of quality that is standard for this price range. This machine has a wider, twenty-two-inch belt that is bigger than some. Additionally, the Platinum Club Series has one of the sturdier builds out of our top three in this price category. It is important to remember that when we critique treadmills with this kind of price tag, it is similar to comparing Drew Brees and Peyton Manning. In all reality, both quarterbacks are two of the best that the league has seen, and most teams would be lucky to have them. With that said, the Platinum Club Series has one major set back that keeps it from being the best treadmill in this price range. Life Fitness has simply gone a little overboard on their pricing. There are treadmills in lower price categories that have consoles with web connectivity and added software built into the overall price of the treadmill. Likewise, there are brands in this high price range that have made treadmills with the same amount of quality and similar additive consoles that both cost less. Simply put, the Platinum Club Series is one of the more expensive treadmills in this price range. Life Fitness has also created three separate consoles that do not have any unique features yet are more expensive than other consoles on the market. You would think that spending $7,000 dollars on a treadmill would allow you to have a web-capable console with a standard touchscreen and quality software. But no, Life Fitness thinks so highly of their consoles that you have to shell out either one or two thousand more. We have equivocated the Platinum Club Series to Life Fitness’s commercial Club Series. They have changed the look of the Platinum Club Series in order to sell it as a residential model. 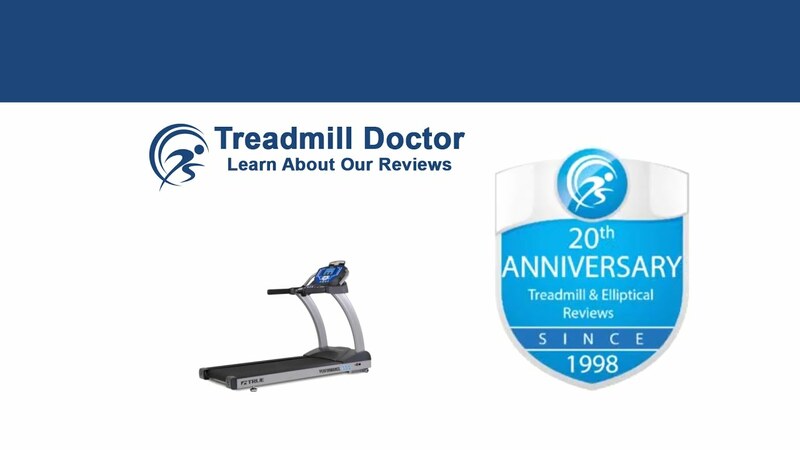 We have not predicted this treadmill to require many repairs due to its excellent quality. With that said, we have been a little concerned with the Platinum Club Series's price as it has tended to be higher than other leading treadmills in this price range. We have awarded the Platinum Club Series Second Place among our 2019 Best Buys in the $6,000 and Up category. We have based our decision on a few different factors, but mainly, we have recognized the amount of quality and durability that Life Fitness has put into the Platinum Club Series. Even still, we are a bit displeased with the high price on this treadmill. Thus, a heavy exerciser is likely to enjoy a quality experience with the Platinum Club Series for many years, but may also be paying the bill for many years.